Fragment is a useful application that was especially designed to help you browse and take a closer look at your digital photos. The program supports zooming ad can handle loads of image formats. Fragment displays thumbnails for the pictures found in the currently loaded folder and will enable you to upload your preferred pictures to Facebook. 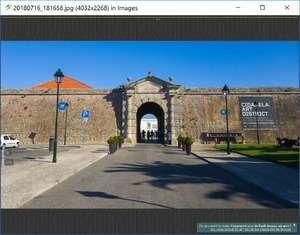 For security reasons, you should also check out the Fragment Image Viewer download at LO4D.com which includes virus and malware tests. Additional screenshots of this application download may be available, too.